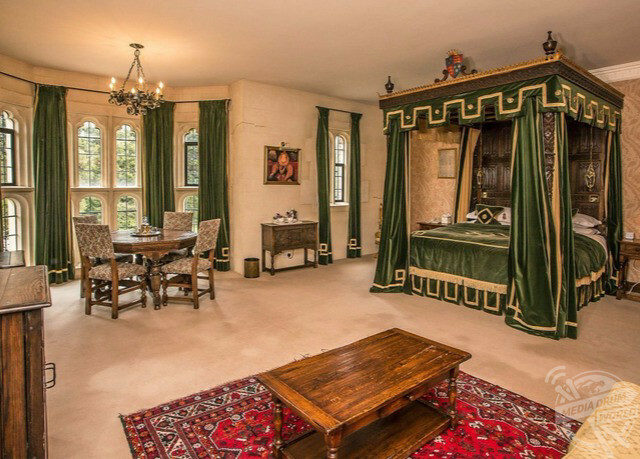 WELCOME to Henry VIII’s castle with a grisly past of treasonous beheadings and England’s only Tudor Castle Hotel that will see you living in luxury Medieval-style for just £219 per room for a limited time only. 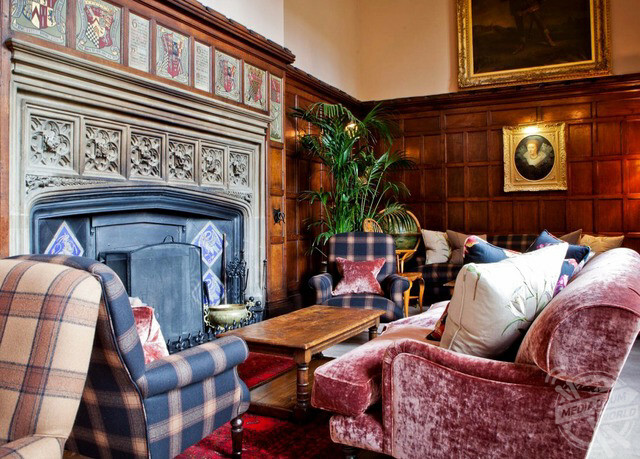 Thornbury Castle is nestled away in leafy Thornbury, South Gloucestershire and offers a luxurious step back in time from the hustle and bustle of modern life. 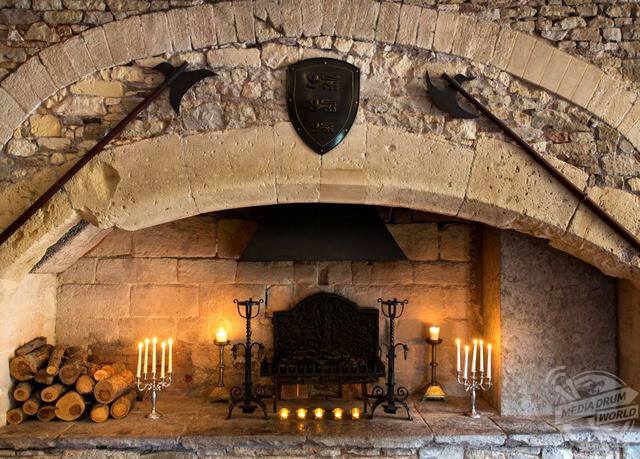 Gorgeous images show the amazing exterior of the property, parts of which date back as far as the 10th century, sat in its historic landscaped grounds. 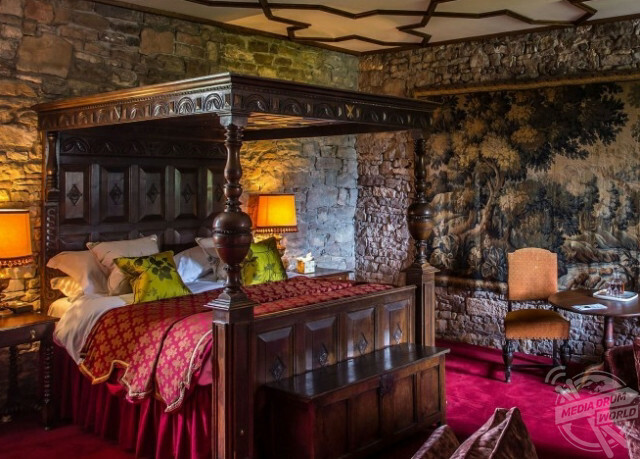 Photos from inside the castle reveal a series of highly atmospheric bedchambers complete with original medieval features including stone walls, carved ceilings and tapestries. 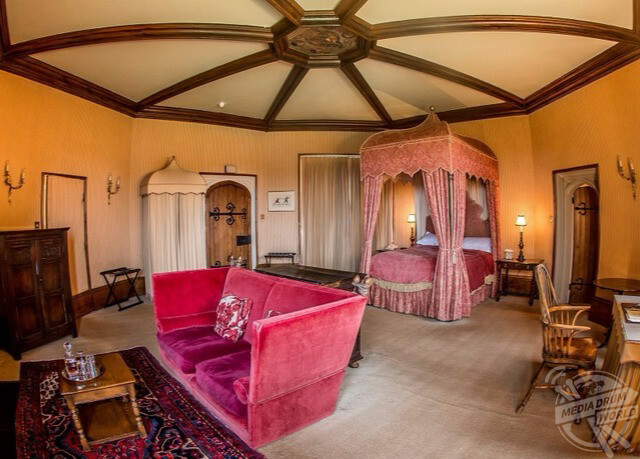 Each of the castle’s 27 bedchambers are truly unique, with most featuring super-luxurious coronet or four-poster beds and whilst attention has been focussed on historical detail, the designers haven’t skimped on contemporary luxury. The hotel could also hardly be home to any finer dining, its former owner Kenneth Bell MBE became the first chef outside of France to win a Michelin star and Senior Waiter, Pepe Gomes Rivas, who is now 68, tells amazing tales of extravagant parties at the castle that international stars such as Sophia Loren and Laurence Olivier once frequented. The kitchen is now headed up by award-winning Somerset native, Andrew Chan, who offers up a range of traditional fare and contemporary cuisine for the restaurant that was awarded two AA Rosettes in 2016. 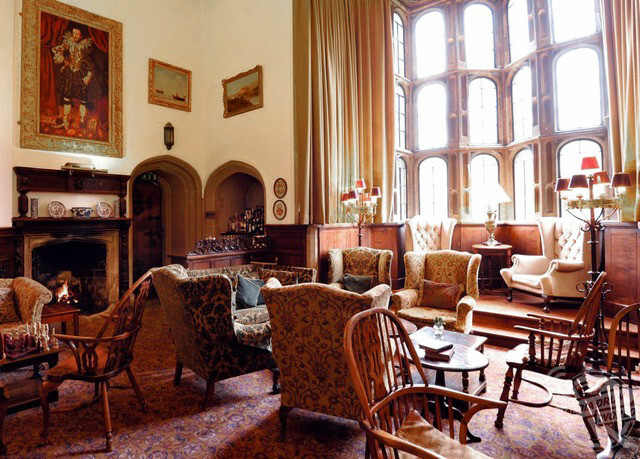 Thornbury Castle has a varied and fascinating history, with the earliest account of its existence in the time of King Athelstan (A.D. 925 – 940), who was the grandson of King Alfred the Great. Years later at the start of the 15th century, Humphrey Stafford succeeded to Thornbury in 1403 and was created the 1st Duke of Buckingham in 1444. After Humphrey’s death at the Battle of Northampton in 1460, the property fell into the hands of his son, Henry Stafford, 2nd Duke of Buckingham who helped place Richard III on the throne and was made Constable of England as a reward. However, in 1483 after being summoned to visit King Richard, instead of accepting the invitation the Duke started to gather troops in Wales with the intention of leading them across the Severn. The uprising was unsuccessful, and the Duke had to seek refuge but was soon captured thanks to a £1,000 bounty on his head and he was beheaded in Salisbury without trial. It wasn’t all bad news for the Stafford family though after Henry VII restored all his father’s lands and titles to Edward Stafford, 3rd Duke of Buckingham. 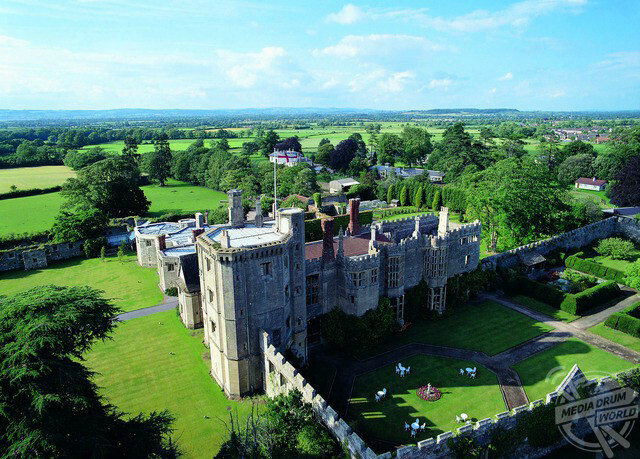 Until this point Thornbury was a mere manor but the 3rd Duke obtained a license to castellate it and, in 1508, started to build the present castle. Perhaps not surprisingly, the Stafford family’s luck didn’t last too long. Despite the Duke of Buckingham standing in high favour as one of the most affluent and honoured noblemen in the country at the time of Henry VIII coming to the throne things quickly turned sour. It is believed that the Duke had ideas of ascending to the throne as the great-grandson of Edward III’s youngest son, Thomas of Woodstock, he believed he stood heir to the throne should Mary Tudor’s succession be denied. King Henry caught wind of the rumours and upon the Duke’s return from France he was arrested and taken to London, where he was found guilty of high treason and executed on Tower Hill. 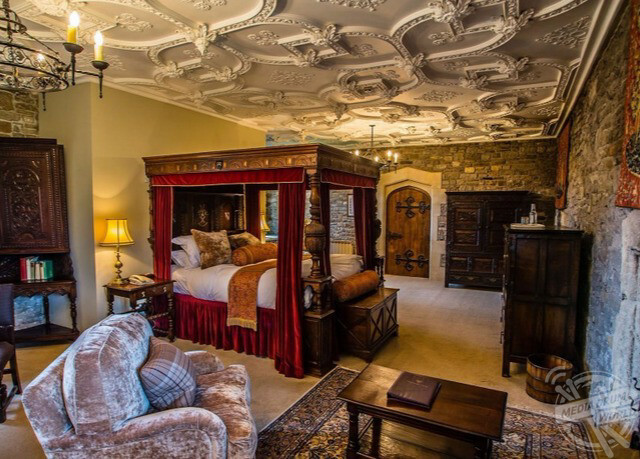 Henry then appropriated the castle and, for 33 years, it remained in the Royal household and is known to have been frequented by Henry and Anne Boleyn before Mary Tudor spent many years at the property, returning it to the descendants of the Duke upon her death in 1554.